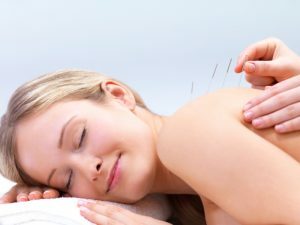 Esoteric Acupuncture is a Powerful New Age Healing Technique for Health and Spiritual Growth. It is one of the most powerful forms of new age healing developed by Dr. Mikio Sankey that supports spiritual and energetic health. Esoteric acupuncture is a blend of traditional acupuncture, sacred geometry, numerology and the chakra energy system with other ancient and esoteric healing systems. Based on the spiritual aspects of ancient Chinese medicine, it is a healing modality that assists one to reach their own higher realms of evolution. It’s aim is to bring you not only into a state of ultimate harmony and balance but to expand your consciousness. Esoteric acupuncture takes the ancient meanings of the acupuncture meridians and points, and brings out the spiritual nature that was cloaked through the generations. Long hidden within this traditional Chinese medical system are the keys to unlock our selves from the limits of our physical dimension and open ourselves to enhanced connections with our higher selves. Esoteric acupuncture works through sacred geometry, the building blocks of our universe, and unlocks codes for us to move into higher states of awareness. This involves becoming more aware of oneself and finding our puzzle piece in life so we can reach new levels of connectedness with others and assist in uplifting humanity to a higher level of consciousness. Esoteric Acupuncture focus is on helping you release negative energetic blockages that are preventing you from living a full, healthy and authentic life. Needle application patterns within the framework of Esoteric Acupuncture are designed to let us connect to deeper levels of awareness and to initiate a “higher frequency” healing energy in the client being needled. Put in the simplest way, Esoteric Acupuncture allows for the exploration of consciousness and for the opening of our hearts. Esoteric acupuncture won’t do the work for you that needs to be done in your life, but it will open doors and help carry you to places that will support this work. Contact Our Selected Esoteric Acupuncture Practitioner now to Book your appointment.